Tuesday Showers, warm in SE. Late shower, very warm in NE. Showers/storms, very warm in the west. 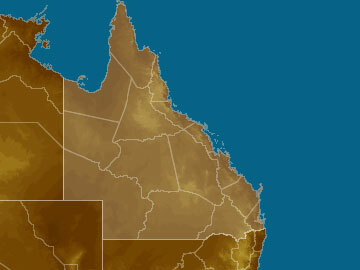 Wednesday Showers, warm in SE. Clearing shower, very warm in NE. Mostly sunny, warm in the west. Thursday Mostly sunny, warm in SE. Showers, warm in NE. Late shower, warm in NW. Mostly sunny, cool-to-mild in SW.
Friday Mostly sunny, warm in SE. Clearing shower, warm in NE. Late shower, warm in NW. Mostly sunny, cool-to-mild in SW.
Saturday Sunny, warm in SE. Showers, very warm in NE. Mostly sunny, warm in NW. Sunny, cool-to-cold in SW.